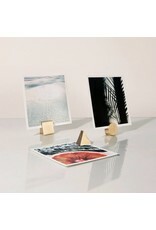 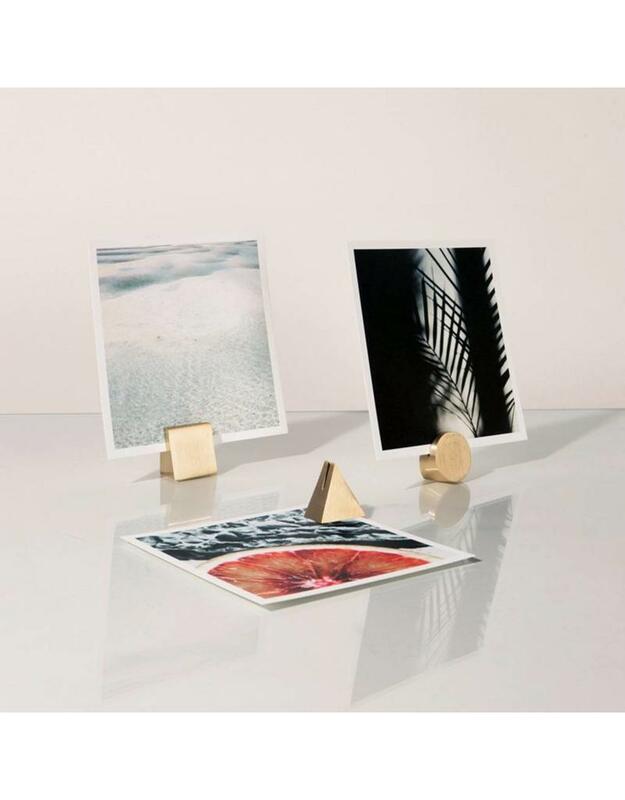 These photo and card holders are functional desk accessories, providing an elegant display for photographs, place cards and more. 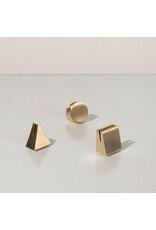 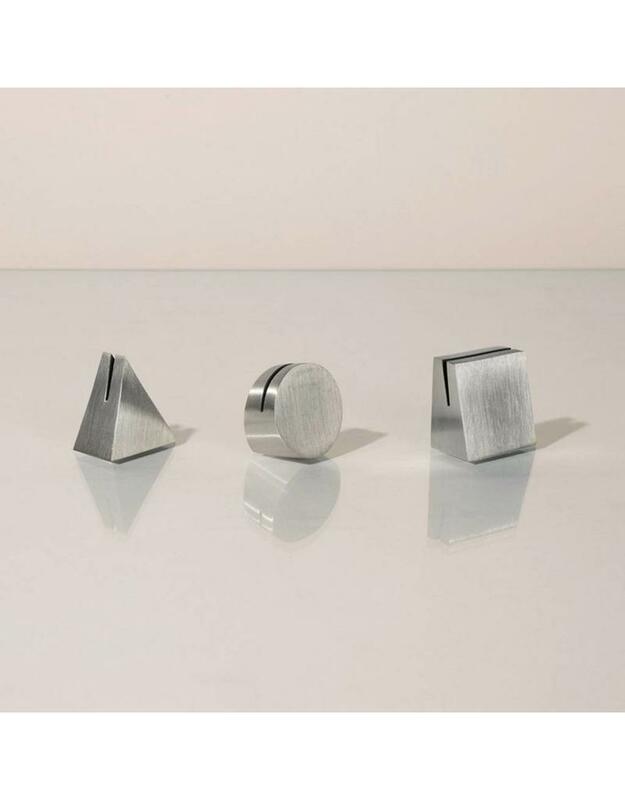 Gold color is made of solid brass, silver color is made of solid brushed aluminum. 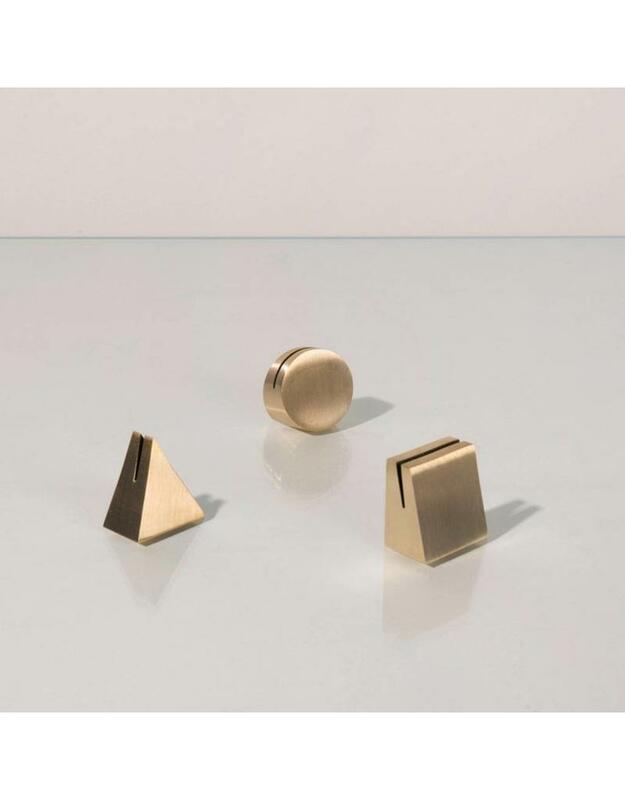 Set of three, one of each shape. 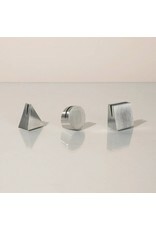 Measures 1.25".